For questions related to your account, order processing, payment and shipping options, please see our Frequently Asked Questions (FAQ's) guide. Do you have a burning technical question or need the best power solution for your digital device? Chances are someone may have asked the same question before. Here is a collection of all frequently asked questions to our sales support and customer service teams through e-mails and phone calls. This on-line resource also serves to be a practical guide for battery users, sales, engineers and manufacturers alike. The topics cover battery chemistry, best battery choices and ways to make your battery last longer. Of course, if you don't see your question answered here, by all means please contact us. What are NiCad, NiMH and Li-Ion Batteries? How to use a battery correctly? How do maximize battery performance? How to prolong rechargeable Li-Ion battery? How is a battery evaluated? How to dispose of batteries? Do I need extra or backup batteries? How to find the exact battery that I need? How to find the best battery deal? Is higher "mAh" (capacity) always better? Is it OK to use different brands of batteries? Can I use a battery with different chemistry or technology? Why my new battery won't hold a charge? Why my new battery has a very short running time even "fully" charged? How do I know when my battery fails? Why my battery isn't giving as much power as it used to do? Why is my fully-charged battery lose power after have been not used for a few weeks? 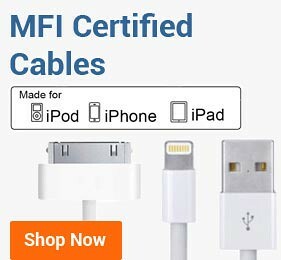 Why is the quality of charger important? How and when to charge? How to choose a battery charger? Why my charger does not seem to work or work well? Is "Fast /Quick Charger" always good? What is a "smart" charger? Portable batteries are typically made using either Nickel Cadmium (NiCad), Nickel Metal Hydride (NiMH) or Lithium Ion (Li-Ion) battery cell chemistries. NiCad is the most popular type of rechargeable battery, although it tends to suffer from "memory effect". It has a high rate of energy discharge, meaning that it is low maintenance with high performance. Nickel Cadmium can deliver even power until nearly all of the battery has been used. NiMH is the most advanced commercial rechargeable battery. Nickel Metal Hydride batteries last 40% longer than Nickel Cadmium batteries. This battery is generally much more environmentally friendly than Nickel Cadmium, as well. Li-Ion batteries do not suffer from the "memory effect" at all. These batteries have twice the energy of Nickel Metal Hydride, although they weigh 33% less. 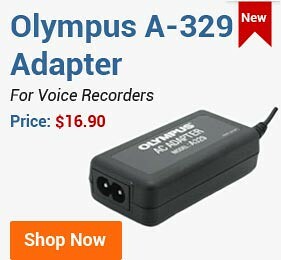 This is especially valuable for portable items, such as laptops, PDAs, cameras and camcorders. When recharging a new battery or the one that has not been used for months, your charger or device may indicate the battery has been fully charged after a few minutes. Please do not disconnect the battery and charger because charging is not complete yet. The charger will recharge the battery in about 10 hours. This is not a sign of a problem with the battery. The same battery will be fully recharged within 2-3 hours next time. The battery usually require 3 to 5 charge/discharge cycles before achieving its rated capacity. When battery is not in use, remove it from your device and store it in a cool dry place. Do not short-circuit the terminals. Most of our batteries are protected with an internal self-resetting fuse, but short-circuit may still cause severe damage to the battery. Be careful where you set the battery down. Keep away from fire and other sources of extreme heat and do not incinerate when disposing of the battery, otherwise it may explode. Under no circumstances attempt to dismantle battery. Do not expose battery to rain or moisture. Do not use the battery at temperatures below -10C (15F) or above +40C (105F). Use of battery at very high temperatures will activate the safety circuit, which will disallow the use. Make sure the battery is fully charged before utilizing. Often clean the battery and terminals with a clean, soft, dry cloth. Keep your battery healthy by fully charging and then fully discharging it at least once every two to three weeks. Exceptions to the rule are Li-Ion batteries which do not suffer from the memory effect. When you start using a new battery, you must charge it to FULL (better to charge it overnight) - refer to your computer manual for charging instructions. Upon initial use (or after a prolonged storage period) the battery may require 3 to 5 charge/discharge cycles before achieving maximum capacity. The battery may be warm during use or charging. This is normal. Remove the battery from charger or powered unit when not in use. Some machines use current even when the switch is off. Avoid frequent full discharges because this puts additional strain on the battery. Several partial discharges with frequent recharges are better for Li-Ion than one deep one. Recharging a partially charged Li-Ion does not cause harm because there is no memory; in this respect, lithium-ion batteries differ from nickel-based ones. Short battery life in a laptop is mainly caused by the heat rather than charge/discharge patterns. Keep the lithium-ion battery cool. Avoid leaving it in a hot car. For prolonged storage, keep the battery at around 40% charge level. Observe the manufacture date. Do not buy any old stock, even if they are sold at clearance prices. There are two important ratings on every battery: milliampere-hours (mAh) and Voltage. "mAh" stands for milliampere-hours. This unit is used to specify the storage capacity of batteries. The higher the mAh rating, the longer the battery will hold its charge between charging cycles. Think of it as the size of the gas tank in your car: the larger the tank, the longer you can drive between refills. 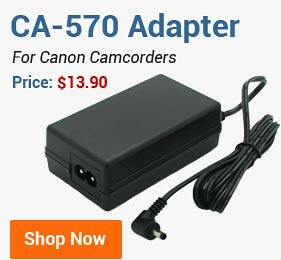 An mAh rating larger or smaller than your original battery's will have no impact on the performance of your camera/camcorder, it will only impact how often you have to charge the battery. Once a battery loses power, remove it immediately from its casing or it may leak. Don't place it in your pocket or purse as this may cause it to rupture. Instead, place the battery in a container or resealable bag (Ziplock) until you can dispose of it in the correct manner. Don't store used batteries together to dispose of in a group. Even though a battery might not be able to run a toy or game anymore, it might still have a small bit of power left. If several batteries bang together, they can emit a charge which can cause them to ignite. Don't mix old and new batteries together in order to get an electronic item to work. The batteries can ignite, rupture or leak, causing damage to you as well as the electronic item. Since many types of batteries are considered household waste, you should follow proper guidelines for disposal. Your town or city will most likely have a hazardous waste pick-up or drop-off day. Check with the city's website or newsletter to find what guidelines, if any, should be followed for properly disposing of batteries. Most hazardous waste days are noted in the local newspaper as well. Many of the regular alkaline batteries are not considered hazardous waste and can be disposed of in the normal household trash. For other batteries such as lithium, mercuric, oxide, nickel-cadmium, nickel metal hydride and silver oxide however, it's best to err on the side of caution and follow your town's battery recycling guidelines. The batteries contain elements that can leak into the ground presenting a hazard to the environment. In most cases, batteries can be brought to your local recycling center at any time, or they can be picked up on your town's designated household waste disposal days. Probably you do. Batteries are arguably the most important portable electronic device accessory. 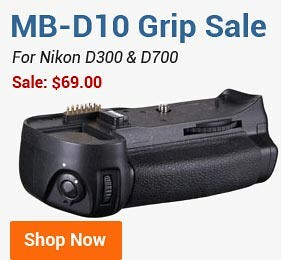 For example, unlike traditional cameras, which can often go months without needing a battery replacement, some digital cameras can consume power at an alarming rate, providing no more than a few hours of continuous shooting time before the battery is drained. Other digital devices like PDA, laptop, etc have the same situation as well. 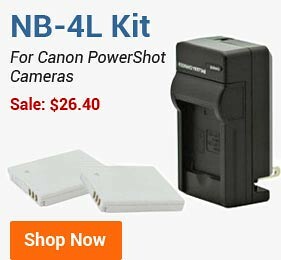 Knowing how you intend to use your camera and what type of battery it needs is the key to making an informed purchase. In our experience, 90% of portable electronic device users keep at least 1-2 extra or backup batteries, especially when traveling or having a heavy-duty outdoor job on the devices. Thus, we suggest you always prepare a few backup batteries in case you really need to use the device when it happens to run out of power. 1) Your battery might be loose. Please check the connection between the battery and the device to make sure the battery is securely attached. 2) Some devices come with multiple batteries. You may also want to try to charge an alternative battery in the device or charger. If you have already checked both of above and still had troubles charging the battery, either your battery or your charger/device may be defective. New batteries are usually shipped uncharged. To ensure maximum battery performance, a new battery (or battery that has not been used for several months) should be charged for at least 14 hours before use. When charging the battery for the first time, the device may indicate that charging is complete after just 10 or 15 minutes. This is normal for rechargeable batteries. New batteries are difficult for the device to charge; they have never been fully charged and not "broken in". To be completely and deeply charged, a new battery will require several full charge/discharge cycles in order to achieve its optimum performance. A new battery, or battery that has not been used for several months, may cause a premature "fully charged" indication as well. Ignore it and let the battery charge for several hours. Don't worry, it's considered normal. When you have used a battery for more than 1.5 years, if the rechargeable battery begins to die, you will notice a significant decline in the running time of the battery. The general rule of thumb is between 600 to 1000 charge/discharge cycles for a NiCad or NiMH battery and 300 to 600 charger/discharge cycles for a Li-Ion one. This translates into a battery life about 3 to 5 years of Nicad or NiMH and 1.5 to 3 years of Li-Ion for the average user at normal usage condition. Probably your battery, especially NiCad or NiMH, is suffering from a battery phenomenon called "memory effect". Basically, this means that, if a battery is repeatedly only partially discharged before recharging, the battery will "forget" that it can further discharge. The best way to prevent this situation is to fully charge and discharge your battery on a regular basis. Why is my fully-charged battery lose power after have not been used for a few weeks? Fully charged batteries will gradually lose their charge even when not used. So if you have not used your camera for a few weeks, make sure you bring a freshly charged battery working with your device. Actually, rechargeable batteries, stored or unused, lose their charge (age) slowly with time. The rate of self-discharge depends on the type of battery. Alkaline batteries and most primary batteries have a good shelf life - they self-discharge very slowly. The rate of self-discharge rises rapidly with temperature. The ideal storage temperature is between 4C and 15C. The following are guide figures for the loss of charge in 1 month at 20C. Check your device manual or simply take a look at the bottom tag of the battery you are currently using; you will find the chemistry type (NiCad, NiMH or Li-Ion) and part number of the battery you need for your device. 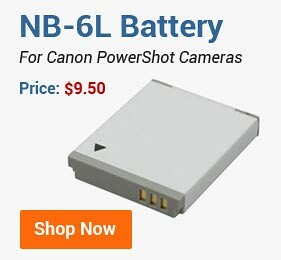 For example, if you have Canon S500 camera, its battery part number is "NB-1LH" with Li-Ion chemistry. 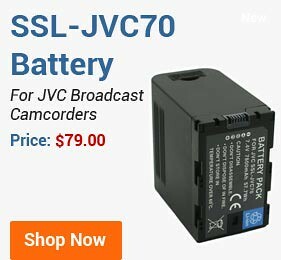 More easily, just type any information you know about the device such as brand, model or part number in the search box located in the header of our site, and our search engine will find all the compatible batteries and other accessories right for your device in a second. Our batteries are directly imported from original equipment manufacturers so that you can save money on the dealer's margin. Our batteries are 100% compatible and guaranteed to meet or exceed OEM specifications so that you can save a lot of money on the brand's margin. We have a long-term contract with the manufacturer. The large volume operations help to keep our prices much lower than our competitors'. To the batteries of different model numbers (especially different dimension/volume), higher "mAh" (capacity) can provide a longer battery runtime. So, the higher capacity, the better. That's regardless of the battery's physical volume and weight. However, for the batteries of same model (for example, some NB-4L batteries have an acceptable range of 550mAh - 950mAh, and some other BP511 batteries have higher initial capacity of 1200mAh), it is not always true. Why? Actually, due to limits of the volume and weight of a battery, the "super high" capacity (NB-4L by 1200mAh) is a result of adding more material for initial capacity, at the same time reducing the relatively more important materials for stabilizing the electrodes. Thus, after about 30-50 cycles of charge/discharge, the performance of the higher capacity battery (NB-4L by 1200mAh) will worsen very quickly. Whereas, the batteries with regular capacity (NB-4L by 550-900mAh) will have much longer lifetime of 300-600 charge/discharge cycles. So, you are gaining super high initial capacity while sacrificing its lifetime. Therefore, don't buy some "too-good-to-be-true" and "super high" capacity batteries, such as NB-4L rated at 1100mAh or 1200mAh, because they have a very high risk of dying in only 1-2 months! All batteries at BestBatt.com are manufactured according to the international industry standards without reducing any necessary materials to stabilize electrodes. This guarantees both the high quality and long lifetime. It's absolutely fine to use different brands of batteries in your devices -- for example, using Energizer, Duracell, and other generic batteries in a Canon digital camera or an IBM laptop. Power is power, and the device neither knows nor cares who made the batteries you put in it. Actually, because of technological advancements, most generic batteries that we carry at BestBatt.com last longer than OEM batteries that originally came with your device. Don't be fooled by manufacturers who state that you can only use their brand of batteries; they simply want you to pay upwards of 200% or more for the same battery just because it has their name on it. They do make a huge brand margin from consumers this way. Maybe not. NiCad, NiMH and Li-ion are all fundamentally different from one another and cannot be substituted unless the device has been pre-configured from the factory to accept more than one type of rechargeable battery. Refer to your device manual to find out which rechargeable battery types your particular device supports, or simply use our online search engine. It will automatically list all of the battery types supported by your machine. All batteries sold at BestBatt.com are made with premium cells by original equipment manufacturers. Turnover test is conducted on every batch. Cells are tested for dimensions, capacity, and impedance. BestBatt.com also conducts series tests as per international standards, including charge retention, -18C discharge characteristic, impact & vibration, over charge, cycle life, vent working ability, storage and other features that may be needed to guarantee the high quality of the batteries we sell. To a large extent, the performance and longevity of rechargeable batteries depends on the quality of the chargers. Choosing a quality charger makes sense. This is especially true when considering the high cost of battery replacements and the frustration that poorly performing batteries create. 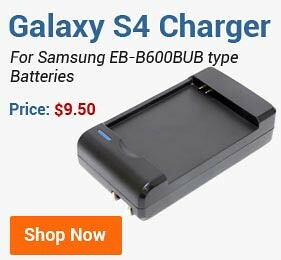 At BestBatt.com, we carry a broad range of battery chargers. You will have no problem finding a superior charger working precisely with your batteries. Our selection includes numerous chargers with a variety of features. For example, we carry car adapter, time cut-off, smart, dual battery and universal chargers. We pride ourselves on supplying our customers with the high quality products (UL Listed, CE certified, other international quality standards met) and at the lowest price on the market today. Batteries behave like humans; some live to a great old age, others die early. Steps can be taken to prolong battery life. The table below provides basic instruction in how to charge and when to charge to maximize battery performance from its cradle to grave. How should I charge my new battery? New nickel-based batteries come partially or little charged. Prime new battery by putting on a 14-16 hours charge. New Li-ion comes partially or little charged. You can use the battery right away but better to charge it to full when starting to use it. Can I damage my new battery if incorrectly prepared? No, without priming, the performance will be low at first, then gradually improve with use. Not at all, Li-ion is forgiving to partial and full charge. No priming is needed when new. How do I prepare a battery with charge indication? Fully charge and discharge battery. Repeat when readings get inaccurate. Fully charge and discharge battery. Repeat when readings get inaccurate. Should I use up all battery energy before charging? Yes, fully discharge once every 1-3 months to prevent memory. It is not necessary to deplete the battery before each charge. Over cycling wears down NiMH. No, it is better to recharge more often; avoid frequent full discharges. Yes, on batteries with a fuel gauge, allow a full discharge once a month to enable reset. Should I charge my battery partially or fully? Allow full charge without interruptions. Repeated partial charge can cause heat buildup. (Many chargers terminate charge by heat. A fully charged battery will re-heat, causing overcharge.) Does not matter. Charging in stages is acceptable. Full charge termination occurs by reading the voltage level and charge current. Charging a full battery is basically safe and does not cause harm. Should the battery be kept charged when not in use? Not critical. Manufacturers recommend a 40% charge for long storage. (Open terminal voltage cannot determine state-of-charge.) Store in a cool place. Battery can be fully depleted and recharged. Priming may be needed. Best to store at 40% charge. Cool storage is more important than state-of-charge. Do not fully deplete battery because Li-ion may turn off its protection circuit. Will the battery heat up during charge? Yes, towards full charge. The battery must cool down when ready. Discontinue using a charger that keeps the battery warm on standby. A little heating is generated during charge. A large laptop battery may get lukewarm. Temperature sensor may prevent charge or cut off the charge prematurely. What should I know about chargers? Best results are achieved with a fast-charger that terminates the charge by other than temperature alone. Fastest full-charge time: Slightly over 1 hour. Charger should apply full charge. Avoid economy chargers that advertise one-hours charge. Fastest full-charge time: 2-3 hours. There are two distinct varieties of chargers: the personal chargers and the industrial chargers. The personal charger is sold in attractive packaging and is offered with such products as mobile phones, laptops and video cameras. These chargers are economical and perform well when used for the intended purpose. The personal charger offers moderate charge times. In comparison, the industrial charger is designed for commercial use and accommodates fleet batteries. These chargers are built for repetitive use with single or multi-bay configurations. The personal chargers are offered by the original equipment manufacturer (OEM). 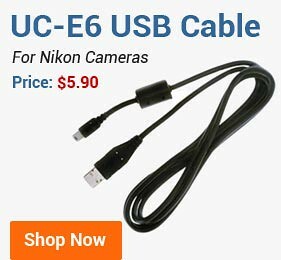 In many instances, the chargers can also be obtained from third party manufacturers. While the OEM chargers meet basic requirements, third party manufacturers often include special features, such as negative pulse charging, discharge function for battery conditioning, and state-of-charge (SoC) and state-of-health (SoH) indications. Many third party manufacturers can offer creative pricing and superior performance. 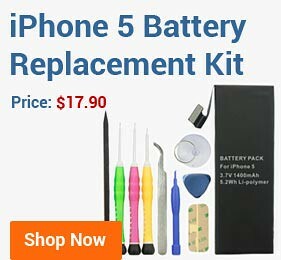 Thus, if the problems surface, please first check the connection between the battery and the device to make sure the battery is securely attached. To avoid the battery being loose, when you try to put a battery in the charging bay, always align metal contact parts of charger and batteries first, then push against the contacts to let the battery completely fit in the charging bay. Usage patterns and device settings drain the battery. Prolonged usage, as well as certain device settings such as camera flash, LCD, picture messaging, etc., will draw significant power from the battery. To get the longest charge from your battery, minimize the usage of those features. Use the wall charger as your primary charger. Car chargers are great for road trips, however, they do not charge as reliably as wall chargers. Also, make sure to charge the battery until it is fully charged. Plug the wall charger into a different outlet since some wall outlets may not have power or may be on a switched circuit. Try a different outlet and verify that the device receives a charge. Charger is hot to the touch when charging. During normal charging, wall chargers are warm to the touch. However, excessive heat usually points to a defective component. Try another battery in your device. Some devices come with multiple batteries, try charging an alternative battery in the device for four hours. If you still have problems or questions, don't worry, our experienced technical support team right here will give you a complete assistance. Is "Fast/Quick Charger" always good? Not really. Some ultra-fast or super-quick chargers can charge a battery to full within one hour by releasing higher Amp (electric current) to the battery. Although the charging job can be done more rapidly, it will shorten the lifetime and reduce the capacity of batteries. Thus, it is strongly recommended to use regular or reasonably-fast chargers instead of those "super-fast" ones. All the chargers carried by BestBatt.com are designed with standard or mildly-quick charging speed to protect batteries and keep them healthy. Some "dumb" chargers really don't have a charge control mechanism. They have simple designs which charge at their full charge rate for a fixed period of time, then shut off or switch to a lower "trickle" charge rate. If they are used properly, these "dumb" are fine. If they are used improperly they can shorten a battery's useful life in a couple of ways. These problems can be avoided by using a "smart" charger with a microprocessor control. A "smart" charger can determine when a battery is fully charged and then, depending on its design, either shut off entirely or switch to a trickle charge. All of chargers at BestBatt.com use a microprocessor control. Battery Pack A rechargeable pack of batteries that can be clipped and unclipped to a battery-driven tool.It is usually possible with reasonable ingenuity to open a battery pack and replace the cells inside. Rated Capacity (mAh) This is stated as the size of current (amps) that the battery will produce over a rated time (hours).Measured in mAh, (milliamps x hours) or, 1000 times bigger Ah, (Amp x hours). This rating is usually lower if a battery is asked to produce a large current (i.e. if the battery has to work fast it will usually produce a little less usable energy).Note that 10 Ah at 12 volts is twice the energy of 10 Ah at 6 volts. The measure of energy stored by a battery is Volts x Amps x Hours or Watt x Hours. Cell A single battery canister. Usually grouped together with other cells to form battery packs of different voltages and amperage. Memory Effect Some rechargeable batteries are said to have a memory. If they are part-used and recharged before the whole charge is used up, they "remember" this and next time will only use that part of their capacity. Therefore part of their capacity is lost. This is the theory, it is much debated. NiCd and NiMh batteries are said to suffer from memory effect. NiCd and NiMh batteries prefer complete cycles; fully charge then use until empty, do not recharge before storage - allow them to self-discharge during storage. In the real world, either of these batteries will accept less than the ideal and provided that they are recycled completely, full to empty, reasonably often they will put up with what comes in between. NiMh batteries have less memory effect than NiCd. In my workshop, where batteries are treated as workhorses, with only a moderate amount of care, NiCd batteries out-last NiMh batteries. This is because NiCd batteries under reasonable conditions, will take more charge/discharge cycles. Primary Battery Not rechargeable e.g. Traditional torch battery. Connecting to a charger may be hazardous. Secondary Battery Rechargeable. e.g. NiMH or Li-Ion Mobile Phone battery. The action of the battery is reversible; connected to a light bulb it makes light and discharges; connected to a charger it recharges-- the charger forces the chemical reaction to go the other way. Self-Discharge The process of a battery releasing its energy without being used. This can occur by just sitting on the shelf. Most batteries self-discharge about 1 to 2 percent each day, depending on temperature and humidity. The process of putting energy into a battery. Discharge The release of energy by the battery. Cycle Life The amount of times a battery may be charged and discharged. Every time a battery is charged and discharged it uses one cycle. Conditioning/Optimizing A process that utilizes a series of heavy discharges and recharges on a battery to assure optimum performance. Internal Impedance The opposition exhibited by a circuit element (cell or battery) to the flow of an alternating current (A/C) of a particular frequency as a result of resistance, induction and capacitance. Alkaline A primary battery (non-rechargeable) often used in electronics applications requiring heavy currents for long periods of time (i.e. : cd players, radios, etc.). Alkaline batteries can deliver 50-100% more total energy than conventional Carbon/Zinc batteries of the same size, hence their popularity in consumer applications. Lithium Ion (Li-Ion) One of the newer rechargeable battery technologies, Li-Ion batteries can deliver 40% more capacity than comparably sized NiCd batteries and are one of the lightest rechargeable batteries available today. Li-Ion batteries are the batteries of choice in notebook computer, wireless telephones and many camcorder models. They are also one of the more expensive rechargeable technologies. Nickel Cadmium (NiCad) One of the most proven and historically most widely used rechargeable batteries. Very dependable and "robust" but contain cadmium and have relatively low capacity when compared to other rechargeable systems. Very good high rate discharge capabilities make them very popular in high drain applications such as power tools. Nickel Metal Hydride (NiMH) Interchangeable with most NiCd batteries, nickel metal hydride (NiMh) batteries generally deliver 10-25% greater capacity than NiCds and are environmentally more friendly than NiCds since they do not contain cadmium. Used in many wireless phone and camcorders. Zink/Air A primary battery (non-rechargeable) that was commonly used for applications such as watches and hearing aids. In relation to their physical size, Zinc/Air batteries store more energy per unit of weight (in terms of 220 W h/kg) than any other primary type. Lead Acid Still the most popular battery used today its main application is for the automobile industry, although it has a growing number of other applications. Its advantages are low cost, high voltage per cell and good capacity life. Disadvantages are poor low temperature characteristics, it is relatively heavy, and it cannot be left in a discharged state for too long without being damaged. Related Batteries: Absorbent Glass Matt (AGM) Gel/Gel Cell Sealed Lead Acid.